People should ask plenty of questions before committing to having surgery to correct their vision, urges the Calgary Herald. Many people"s first thoughts would be regarding the cost of surgery, and this is perfectly legitimate as the procedure can cost up to $5,000 or £3,000. However, the first question should be "what sort of improvement should I expect in my vision?" as the surgery can fix a variety of conditions such as short-sightedness, long-sightedness and astigmatism and yield different results for each, advises the newspaper. Complications such as blurry and double vision, halos and dry eye can occur and so it is important to consider these complications when deciding. Dr Dave Brown, from eyedoctor.ca, told the news provider: "They might be minor; they might be bad complications. You want to know the incidence of them and are they correctable? You lose an eye; you"re not going to get it back." Potential patients should also enquire about the recovery period following surgery as pain and discomfort can remain for one to two days after surgery. 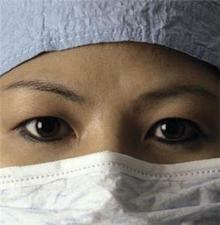 The surgeon"s track-record should also be questioned  what is his/her complication rate? Lifestyle website carrieranddanielle.com also recently advised people to take potential complications into account before having laser eye surgery.